The length of this book originally worried me. 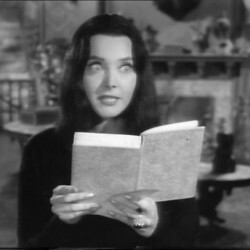 Non-fiction doesn't hold my interest like fiction does. Sometimes when non-fiction goes on for too long, it just sounds I'm sitting through a college lecture with the most monotone voiced professor imaginable. This was a not a problem with Margaret Talbot's book. She tells a micro history of entertainment in America, examines cultural and sociological shifts that began to take place in America during the early 20th century, all while telling the story of the life and career of her father, Lyle Talbot. 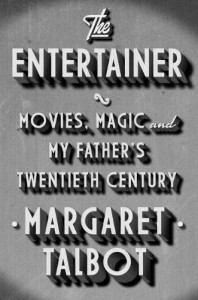 Margaret Talbot tells an interesting story of her father's life, a man who has been entertaining since the days of traveling carnivals and hypnotists, to the stage, then on to the beginning of talking movies, and eventually on to television. A man working that many years has a lot of stories to tell and has lived through a lot of America's changing history as an entertainer and as a person. The writer excellently weaves the changes of the times and the evolution of her father's career and life so that if the reader's interest is entertainment, history, biography, sociology or any combination, they're going to find something in this book worth reading. There are few times here and there when Margaret's sentimental writing leans a little to heavy on the saccharine side for my tastes, but on the whole, this is an enjoyable and interesting read.